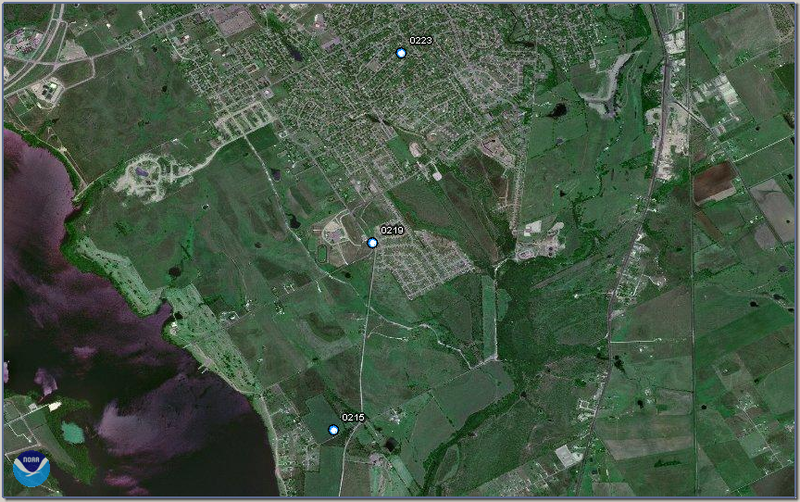 On the evening of May 15th, strong to violent tornadoes went through portions of Hood County and Johnson County, TX. Six people were killed in the Granbury area from this storm, and multiple tornadoes were produced as the storm cell tracked through the region. The maps below were created from radar images, and depict the rotation paths of the tornadoes as they impacted areas near Granbury and Cleburne, TX. As you can see from the images, the storms progressed from WNW to ESE (you can look at the timestamps), however the tornadoes tracked from south to north while they were on the ground. I’m sure this scenario has occurred before, but the differences between the storm motion and the path of the tornadoes themselves could be lending to some of the initial confusion in reporting areas impacted. 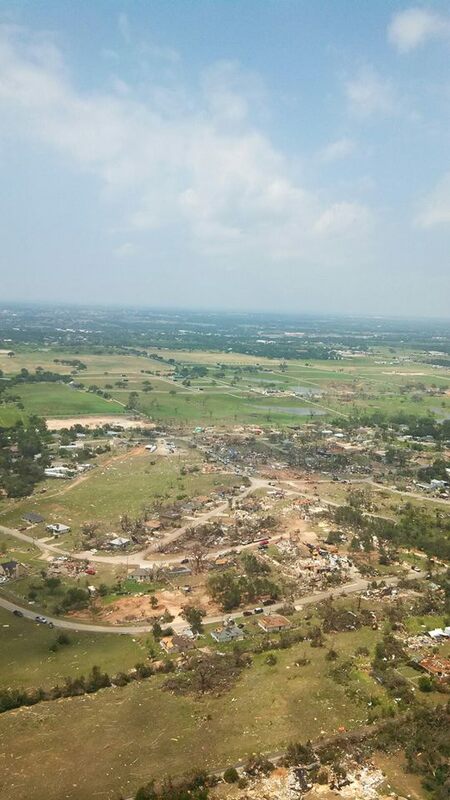 Granbury Tornado (Hood County, TX) – As of the morning after the storm, authorities in Hood County were reporting -6- fatalities from the storm, with nearly 100 injuries. 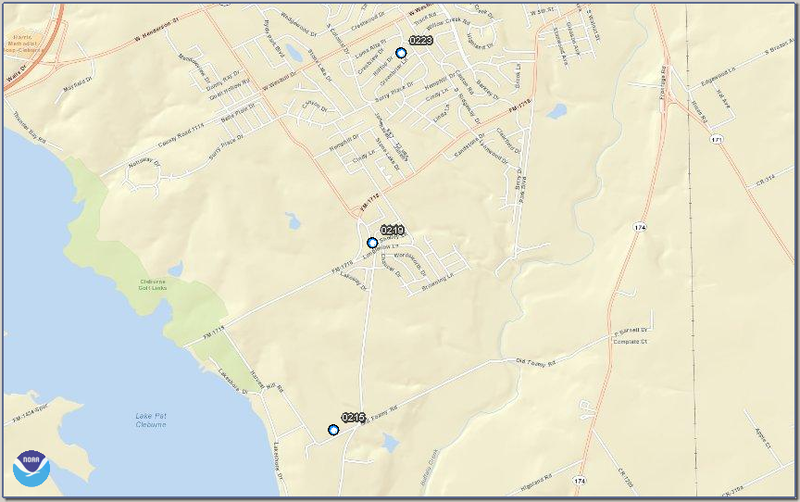 Based on radar observations, correlated to scanner reports of streets impacted, below is some preliminary information on primary impact area. 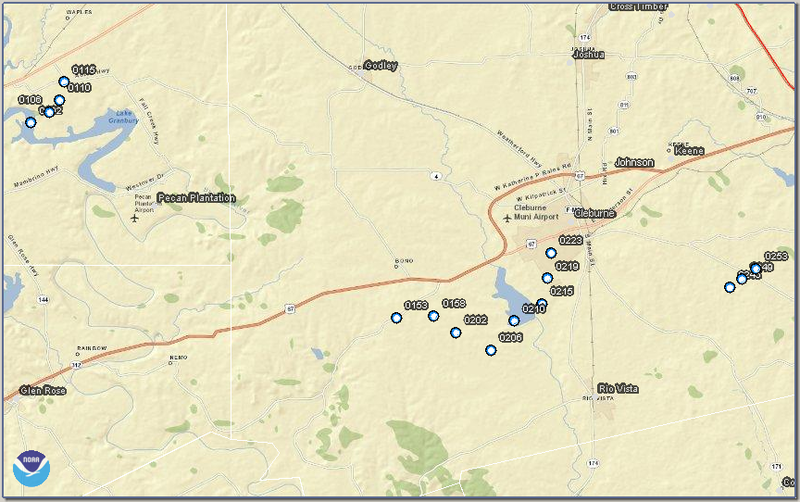 The hardest hit area was located south and east of Granbury, TX on the north side of Lake Granbury. 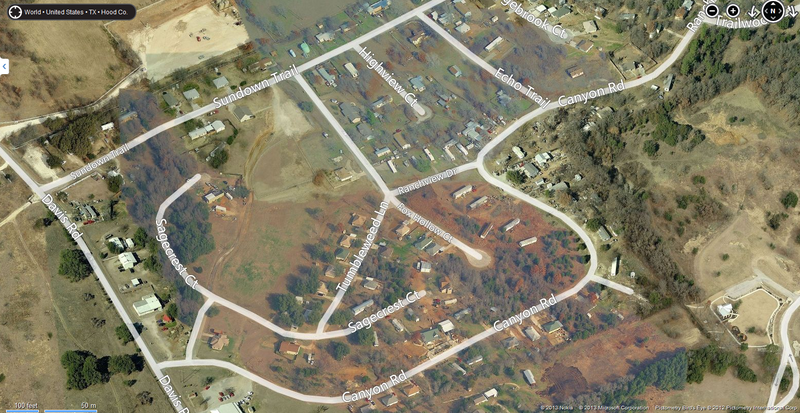 Some areas / roads in the area most impacted include the area near Rancho Brazos Estates / Tumbleweed Lane (http://goo.gl/maps/HRxfL – Google Maps Link). There were a number of tweets reporting structural damage, homes collapsed. Looking more closely at some of the buildings in this area show that many homes are mobile homes, likely contributing to the high casualty numbers. Later in the evening, another large tornado (reported by spotters to the NWS as a mile-wide tornado) impacted areas South and West of Cleburne, TX. One of my best friends from College lives there, so I’m quite familiar with that part of town. There is a lot of new residential development in that part of town – single story homes, most without basements, however the relative age of the homes hopefully means that they’re built to withstand stronger winds. The roofs in most of this area are hip roofs which hold up better to stronger winds. 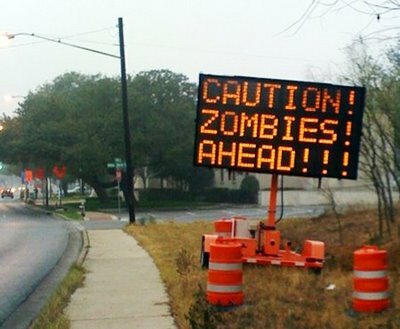 Here’s a link to Google Maps to Southwestern parts of Cleburne (http://goo.gl/maps/JfMvA) I’ll update more as I hear more from the Cleburne area, but the radar images did not look good. Thankfully though, the strongest radar images occurred outside of town. Below are the timestamps (UTC) showing the rotation path through the Cleburne area. 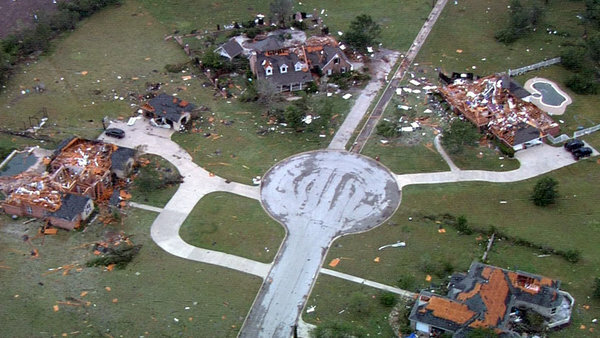 Damage to houses along Lakecrest Court in Cleburne (image from WFAA). For more pictures from WFAA, visit http://www.wfaa.com/home/HD-chopper-8-gets-first-look-of-tornado-damage-in-Cleburne-207684041.html?gallery=y&c=y.&nbsp; Note: Lakecrest Court is located almost exactly at the 0215 UTC location dot on the previous map, depicting the approximate path of the tornado. Along with millions of others, you probably saw the power outage in the Super Bowl. During the stoppage in play, CBS did not air additional advertised commercials, but that didn’t stop advertisers from quick thinking / responding on their toes. The outage occurred at about 7:37 local time, and within 11 minutes @oreo posted one of the first major advertising tweets of the outage. When all was said and done, more than 14,000 retweets had occurred and 4500+ people saved the tweet in their favorites. The ad was simple and to the point, and connected with so many who were “left in the dark”. Just take a look and decide for yourself – How effective is this $0.00 ad compared to the nearly $4 million for a 30 second broadcast advertisement in this year’s Big Game? Is the worst flu season in the past several years? Google says it is and here are the maps to prove it. Over the past several days, there have been an increasing number of stories about this year’s flu season (2012-2013 flu season) being one of the worst in several years (Huffington Post, Boston Herald, NY Post). There are even stories of schools closing down for a day because of high absenteeism because of illness (Oklahoma, Minnesota) Starting in 2003, Google began tracking search terms because there was a correlation between words people were searching for and the intensity of the flu season. As a result, the site http://www.google.org/flutrends/ was created. One of the best items with this site though is that Google allows users to download data (CSV) for analysis. 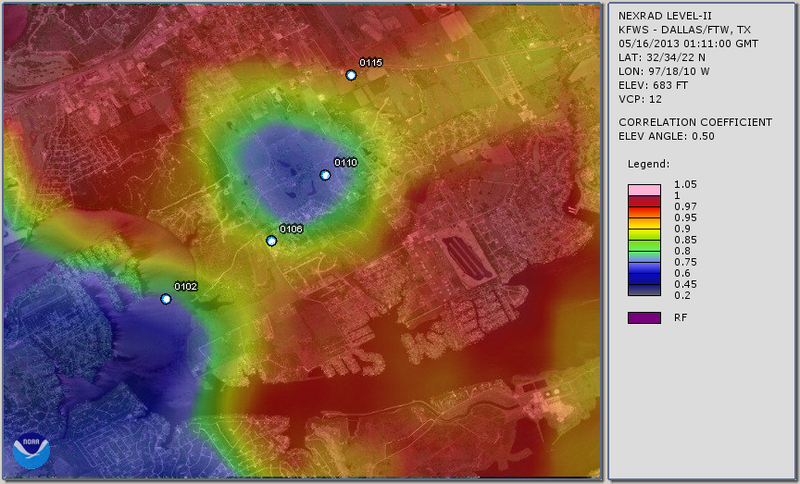 As a result, the following maps were created to depict the strength of this year’s flu season in comparison to previous years. 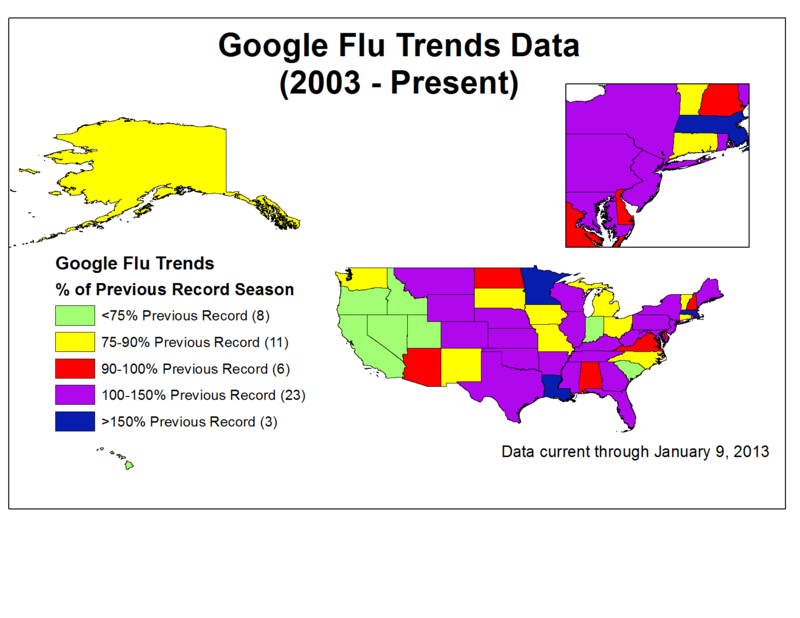 As you can see, the 2003-2004 (H3N2) season and the 2009-2010 (H1N1) season are the worst seasons according to Google flu trends data since 2003 when the information was first tracked. 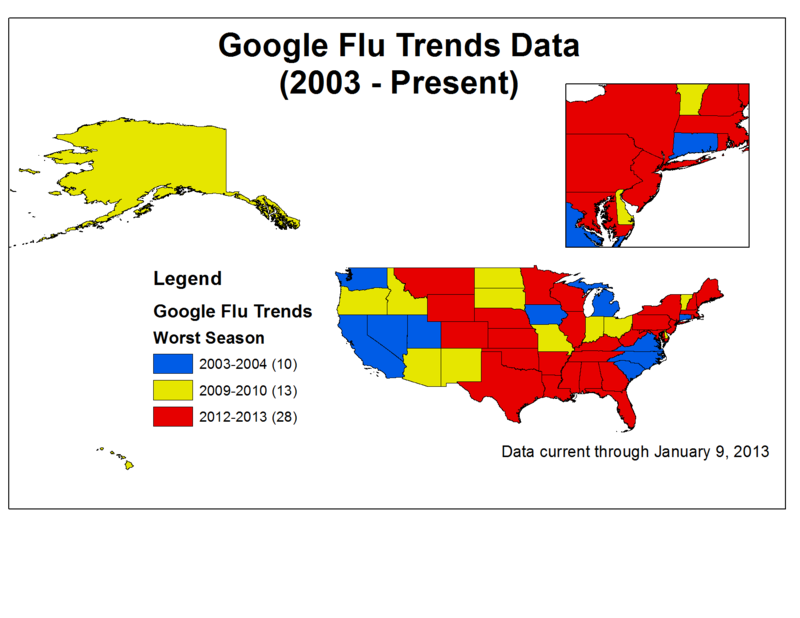 Additionally, the Google flu trends data is tracked and updated daily, while the data from state health organizations and the CDC is usually 1-2 weeks behind the actual occurrences. This is for a number of reasons (onset of symptoms vs seeking treatment, delay in reporting, etc), but the Google trends charts are very similar to the charts disseminated by the CDC. With this in mind, expect a surge in stories from states and localities beginning to implement health emergency plans for extremely high levels of flu activity. 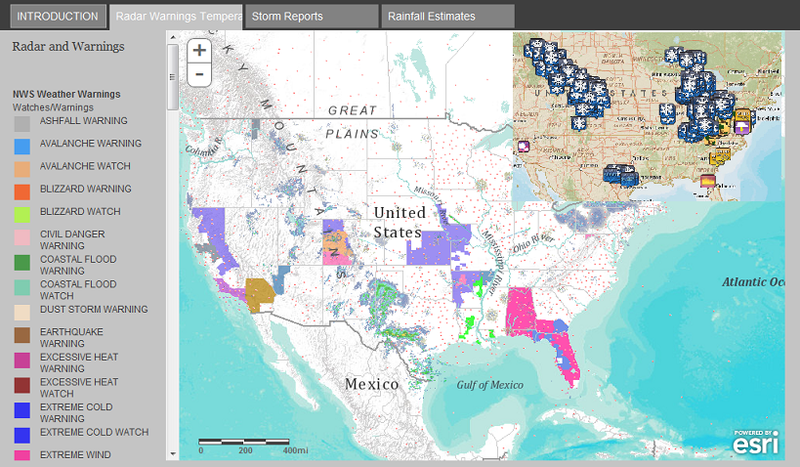 Have you ever wondered if there are patterns to where and when severe weather occurs in the United States? 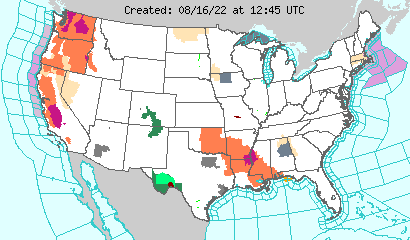 There are days where we see tornado watches, severe thunderstorm warnings, reports of high wind, hail and even tornadoes. But, what if you could see these patterns visually – say for example on a map of the country. Well, University of Oklahoma Ph.D. candidate Patrick Marsh has just created an incredible set of animations hosted on Youtube depicting daily severe weather probabilities over a 30 year period.